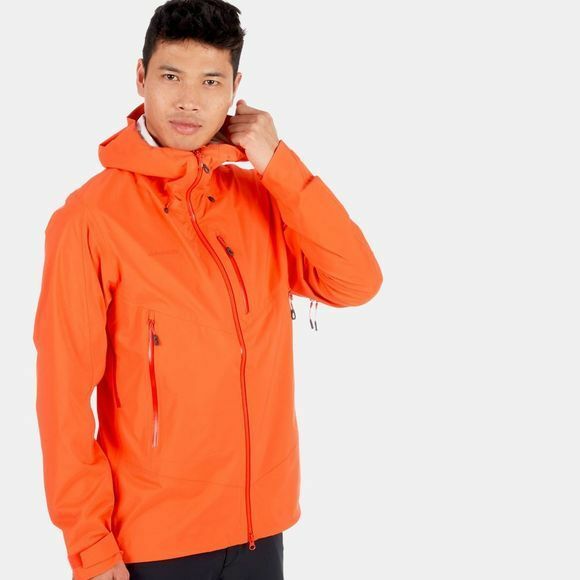 The Kento HS Hooded Jacket Men takes sudden changes of weather in the mountains in its stride. Its waterproof outer material is complemented by a stormproof hood that you can also pull up over your helmet. Waterproof zippers also prevent penetration of moisture to keep you feeling comfortable even in rainy conditions. 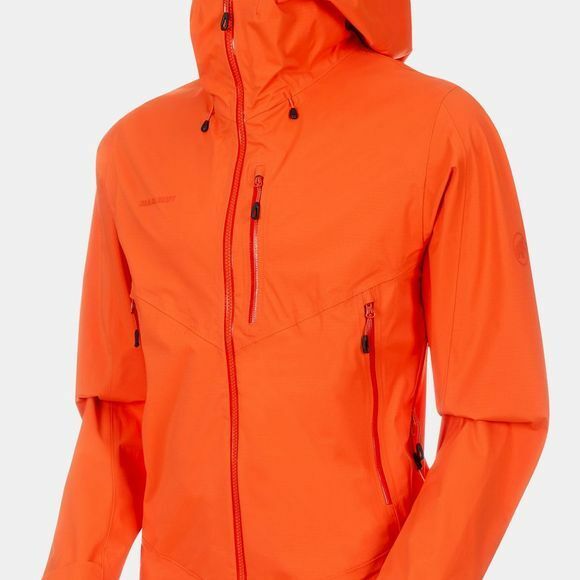 Climbing harness-compatible front pockets make this hard shell jacket a must-have garment in the mountains, and thanks to its small packing volume, you can also quickly stow it in your backpack if needed.